Marvel's latest superhero movie Doctor Strange graces the big screen with sharp wit and excellent Visual Effects and Benedict Cumberbatch is unpredictable and intriguing as his Marvel's character. | By Pedro Penalver, FNT Editor in Chief. The new Marvel’s Superhero movie, Doctor Strange, will hit the big screen all over our country on November 4. Its release overseas conjured Box Office magic with more than $86 million in debut week around the world, including United Kingdom, Ireland, France, Italy, Germany, Spain, Korea, Australia and Mexico. Dr. Stephen Strange’s life changes after a car accident robs him of the use of his hands. When traditional medicine fails him, he looks for healing, and hope, in a mysterious enclave. He quickly learns that the enclave is at the front line of a battle against unseen dark forces bent on destroying reality. Before long, Strange is forced to choose between his life of fortune and status or leave it all behind to defend the world as the most powerful sorcerer in existence. Rotten Tomatoes reviews of Doctor Strange are decidedly high, most of the declaring the movie one that artfully balances its outré source material against the blockbuster constraints of the MCU, delivering a thoroughly entertaining superhero origin story in the bargain. Much of the success of the film is down to the casting. Benedict Cumberbatch plays Doctor Stephen, the strange, a supremely gifted — and arrogant — neurosurgeon and he has given new energy or strength to the Marvel superhero that after recent productions’ new characters like Ant-Man and Guardians, wider audiences are making those films the preferred comps. 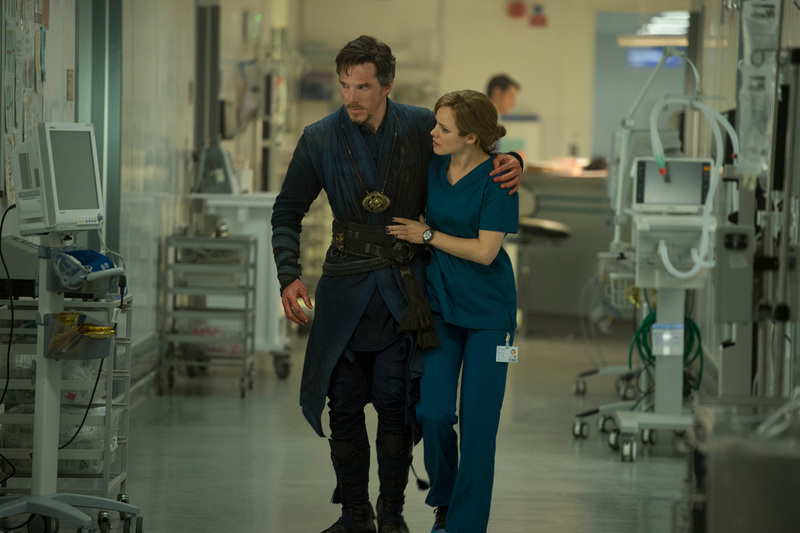 She is a highly skilled trauma surgeon, who is not only Dr. Strange’s colleague but a friend as well. When the devastating accident that crippled Strange’s hands takes a toll on their relationship, Dr. Palmer comes to realize that Strange needs to rediscover his worth on his own. But she never dreamed of the unlikely path that he would one day walk—or how it would come crashing back into her own life. Guardian’s Wendy Ide has described Doctor Strange to be very much its own entity: a handsome, endlessly fascinating puzzle of Escher-like complexity. There’s a sharp wit to the screenplay that allows the audience to catch the punchline to a joke that was set up a full hour before. “Doctor Strange was unusually improvisatory for a $165 million film. We plussed the humour. I especially kept on adding to the humor”, said Benedict Cumberbatch in a recent interview to the Telegraph where the star opened up about life, death, and injecting comedy – not to mention philosophy – into the Marvel Universe. 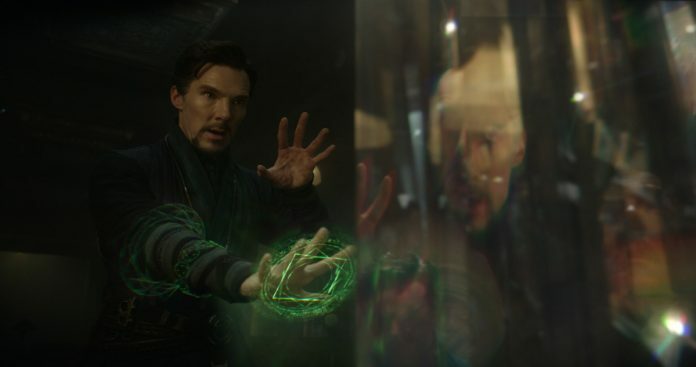 Marvel Studios’ Doctor Strange offers very few insights into the childhood of its main character that makes him become such an arrogant New York neurosurgeon. The deeply insecure and wildly overcompensating character’s determination to prove himself, makes this movie Marvel’s most satisfying one since Spider-Man 2 according to Film Critic Peter Debruge. “Yes, this new project shares the same look, feel, and fancy corporate sheen as the rest of Marvel’s rapidly expanding Avengers portfolio, but it also boasts an underlying originality and freshness missing from the increasingly cookie-cutter comic-book realm of late”, says Debruge upon the movie release. You need to go 3D to ultimately enjoy the movie significantly. Not only does the fantasy element pops out of the screen, the teeming chaos of Nepal looks astonishing. Strange’s origin tale starts predictably enough, but upon reaching the Himalayan temple of Kamar-Taj, he (and the audience) will embark on a phantasmagorical vision quest unlike anything the studio has done before. All Marvel Studios movies are heavily reliant on CGI, but Doctor Strange is the first to do something noticeably innovative with its special effects. After years of CGI-dominated sci-fi/fantasy blockbusters, Doctor Strange is the first to really push the boundaries of magic beyond “big blast of light” or “turning things into other things.” CNET Tech Culture Richard Trenholm considers that though for him the Doctor Strange’s story lacks magic, this Marvel’s fast, funny and freaky film pulls a spectacular rabbit from the special effects hat. Marvel’s latest superhero movie Doctor Strange graces the big screen with sharp wit and excellent Visual Effects. Benedict Cumberbatch is unpredictable and intriguing as his Marvel’s character. The movie starts nationwide on November 4. Let us know your thoughts on our Facebook Page after you watch it.